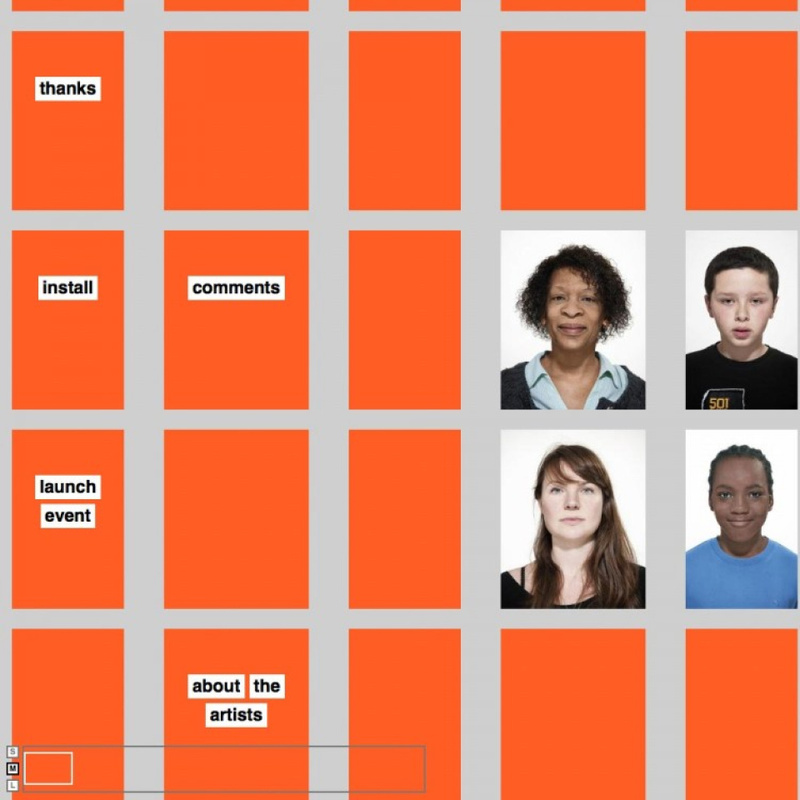 Fugitive Images is a the collaborative art practise of Andrea Luka Zimmerman and Lasse Johansen, who the useful arts worked with previously on the i am here website. For their portfolio site they wanted a simple, clean minimal site that was flexible enough to represent the various strands of their work whilst being easily self-managed. 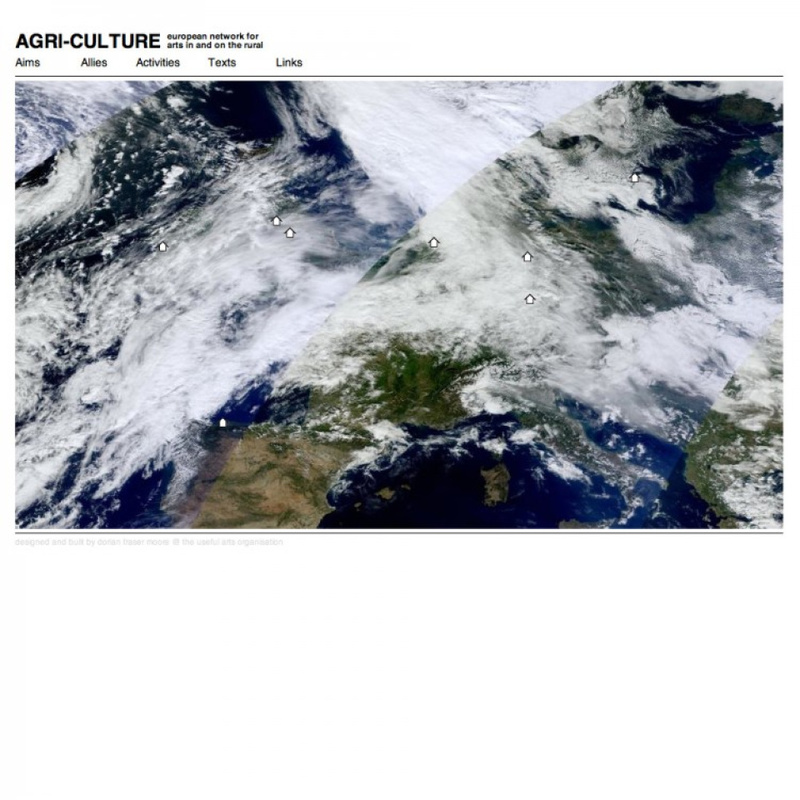 Agri-Culture is a pan-european network of organisations exploring the realtionship between Farming (Agri) and Art (Culture). This website is set up as a portal to link together like minded practitioners and to provide a space for theoretical documents on their practise to be published. 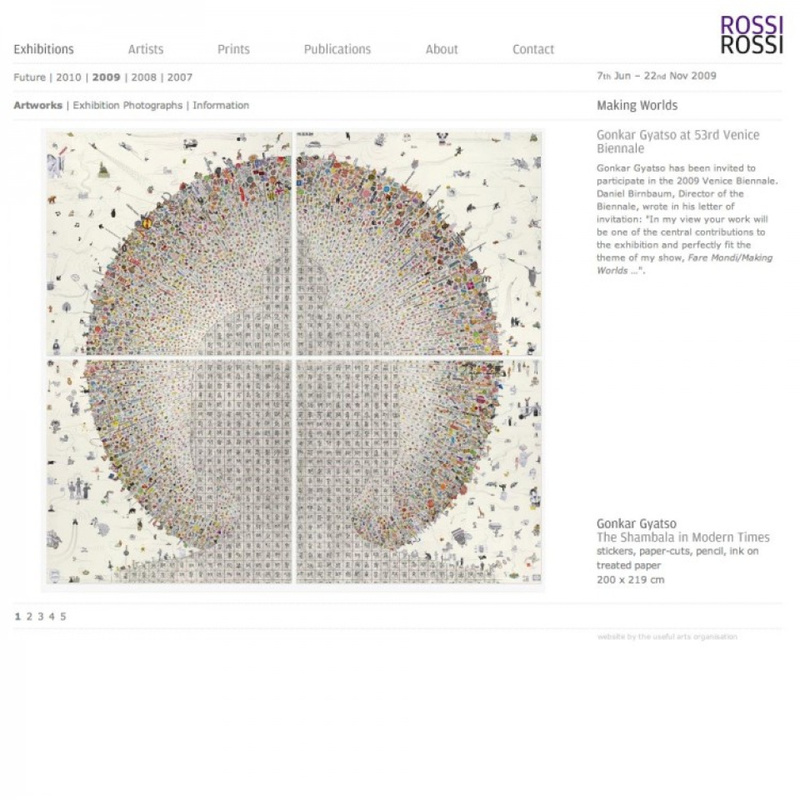 Rossi & Rossi are an art gallery specialising in contemporary and classical Asian artworks. 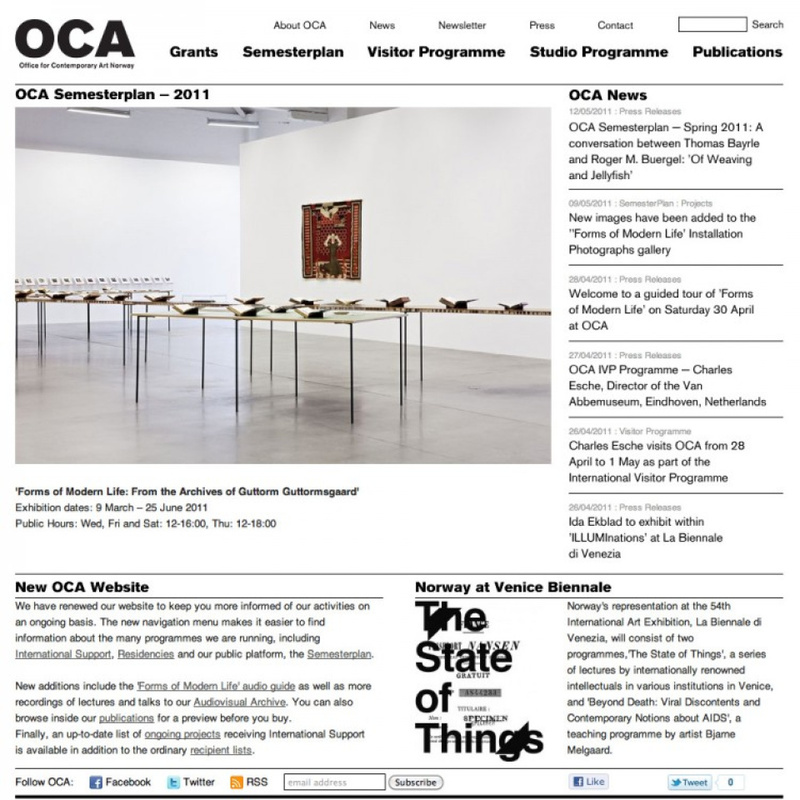 The Useful Arts were commissioned to update their out dated web presence, providing a new site design and improved visibility of exhibition, artworks and artist information, to provide a cleaner, clearer experience with the focus on the artworks that they represent. 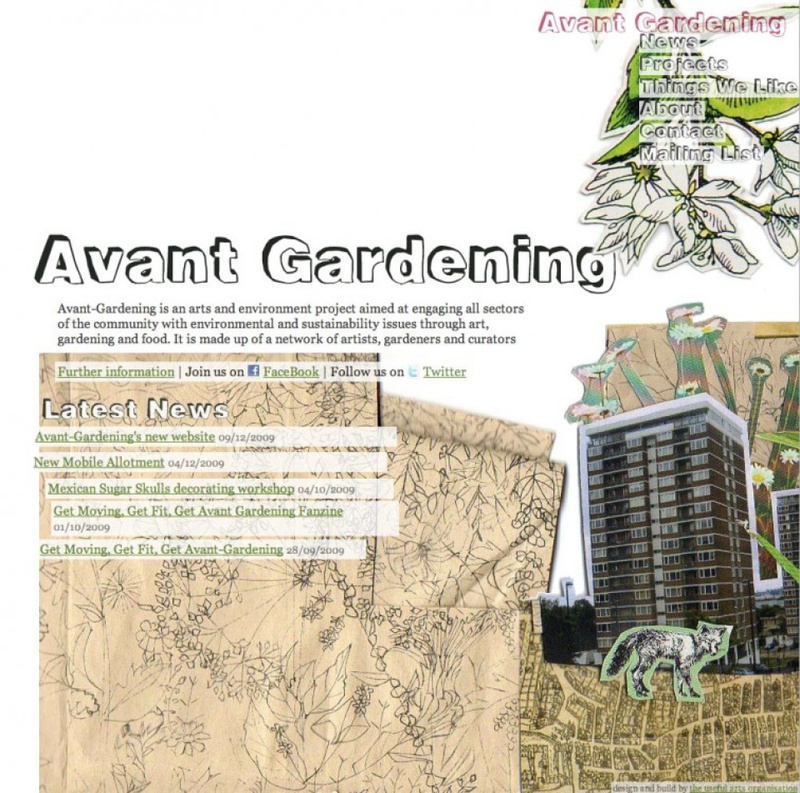 Avant Gardening is an arts and environment project aiming with the aim to educate on the issues of how we affect and interact with the world around us. Their website is a central point on their news, project information, and a launch point to interesting things the find about similar projects. The aesthetic of the website intends to follow that used in the fanzines they produce, producing something friendly and involved, reflecting the complexity of the issues and the simplicity of their approach at once, in a friendly, fun manner. 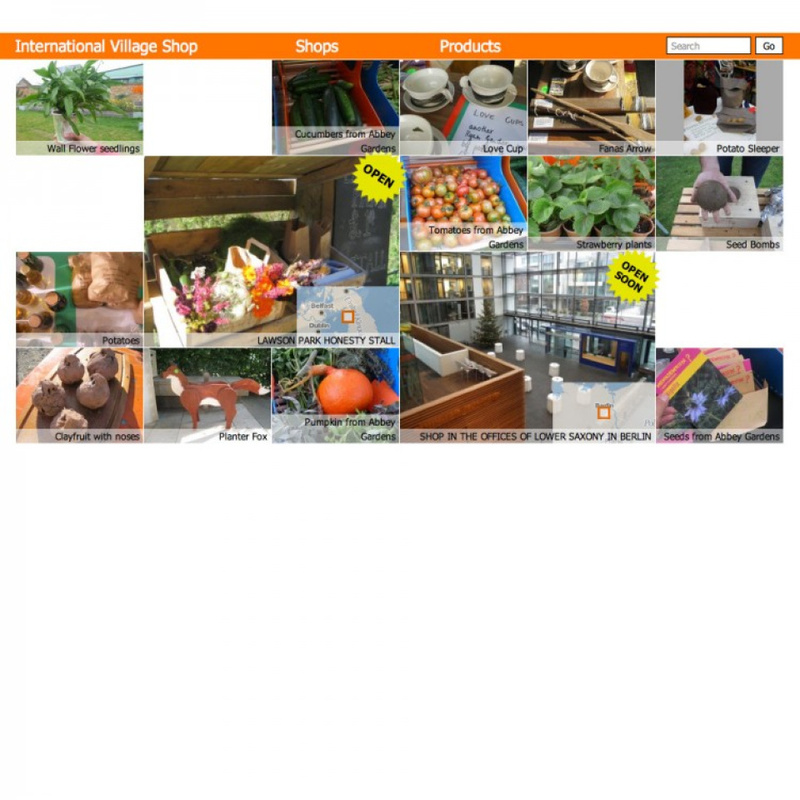 The International Village Shop is the collective documentation of the various experiments and approaches to trade that have been undertaken by Grizedale Arts, myvillages.org, public works and somewhere since 2007. The aim of the site is to further map these activities and provide centralised documentation of the activities, as well as a platform for the potential exploration of alternative models of trade on-line. Consultancy, website & database design & build with Content Management System. 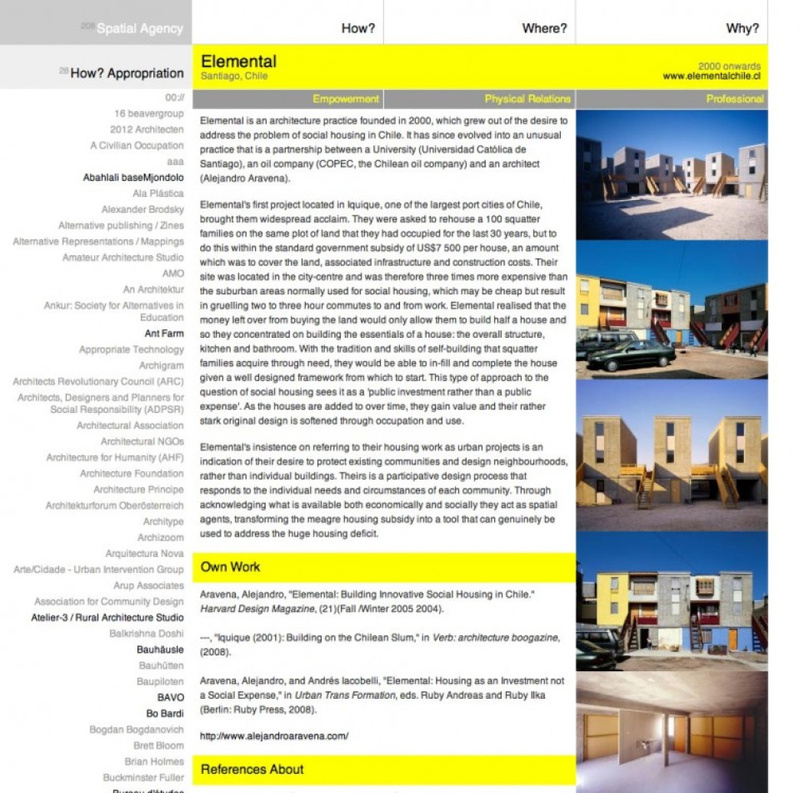 Spatial Agency is a research project initiated by Agency, part of Sheffield University School of Architecture, looking at alternative architecture practises, their interconnection and influences. The first part of this project has involved creating a database structure to allow them to document and connect the various important practises, both as a research tool for publication of a book and as an extra resource, providing ongoing documentation of projects that can't be featured in the book. The second part of the project will be a mapping of the interactions and influences of the various parties featured practices. Rhyzom is a collaborative network initiated by Atelier d'architecture autogérée to explore local cultural production and translocal dissemination. 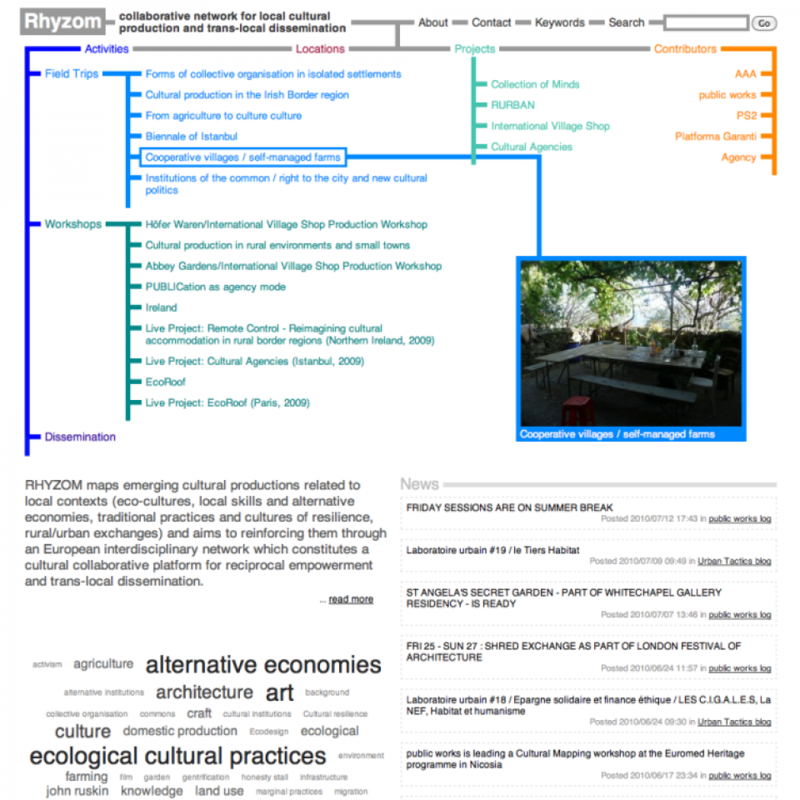 The Rhyzom.net website was developed to allow the participants to document their activities and projects as part of the network, and to show the complex set of connections between participants activities and outcomes, growing over time. Part document, part map, the website design merges navigation into structure to represent the rhizomatic nature of the network. Graphic Design, Website Design & Build with Content Management System. 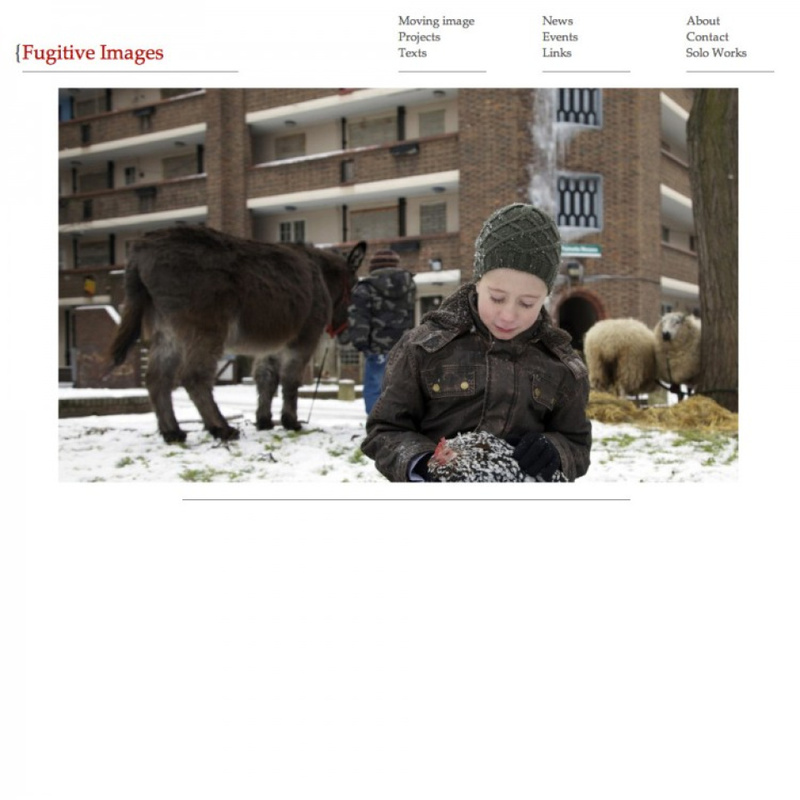 This website is an representation of Fugutive Images' 'i am here' installation at Samuel House, Haggerston, Lonodn. E8 4HN. It has been started a launching space for further documentation aobut the redeveolpment of the Haggerston estate in the coming years. We also did the graphic design for the information boards and flyers for the launch event, and are involved in the ongoing development of the documentation. Consultancy, Styling, Website Architecture + Design + Build with Content Management System & Shop. Part of our ongoing relationship with Grizedale Arts, this website was redeveloped to coincide with the launch of Lawson Park as the base for their residency programme. 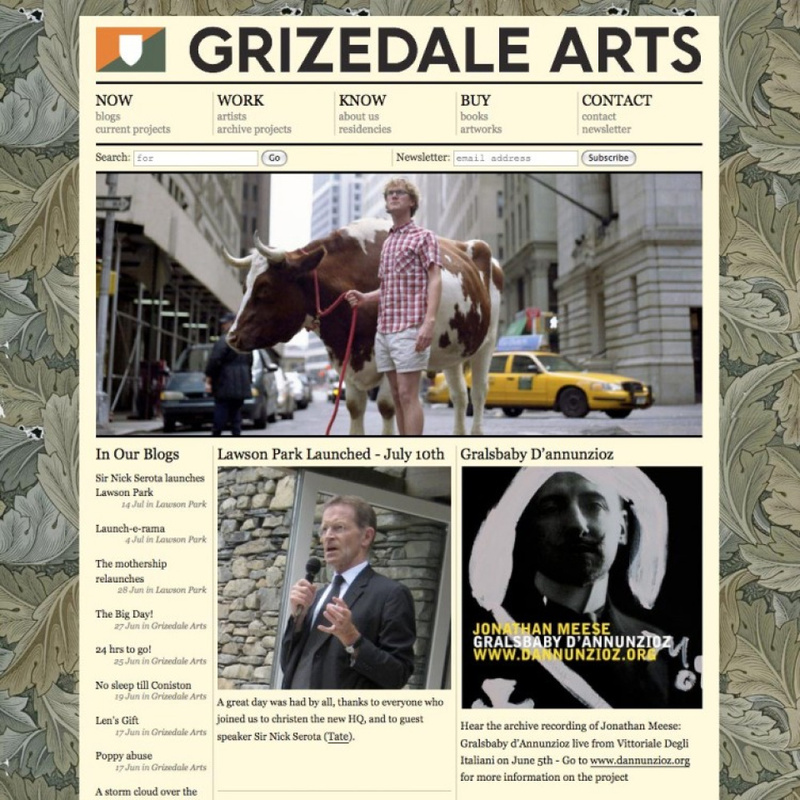 The website will extend out to allow artists-in-residence to document their work and use grizedale as a publishing platform for their research and practise.